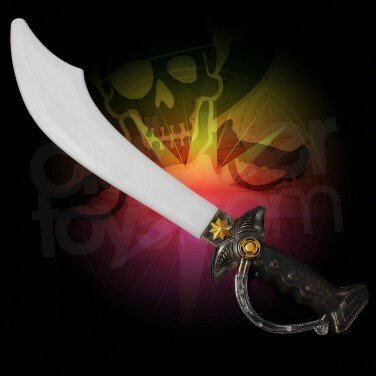 Ahoy me hearties! 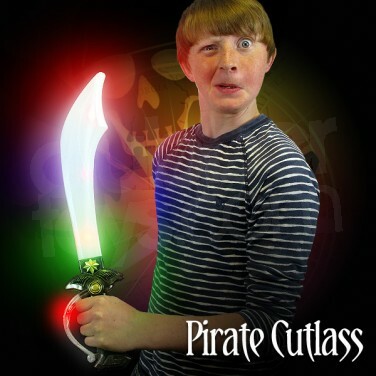 These light up pirate cutlass swords be fantastic! 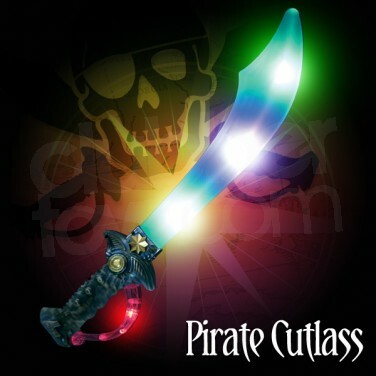 Packed with super bright multi-colour changing LEDs, the blade and the handle of this swashbuckling cutlass sword light up with super bright colourful effects!. 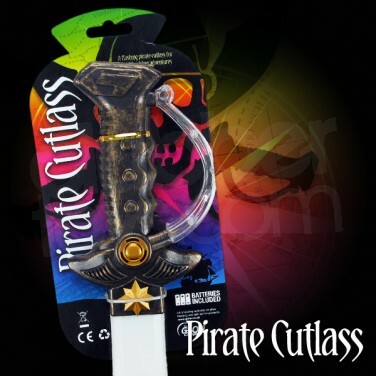 Flashing Pirate Sword / Cutlass Bright light up pirate cutlass swords with colourful led lights in the blade and handle.